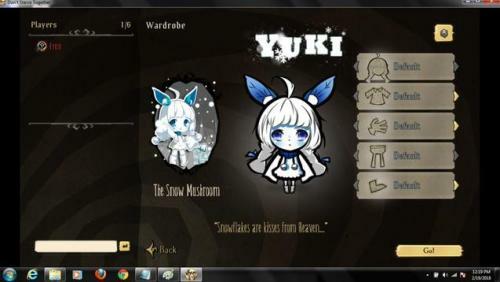 Yuki loves Winter. She run faster and gains Sanity everytime in Winter, more than if snowing. My characters don't use body size of original characters (leg is taller than), so its can't use some skins in game. I were rebuild some file from <default>, San(Princess Mononoke), Waiter 101 Together v5.0x Mod. 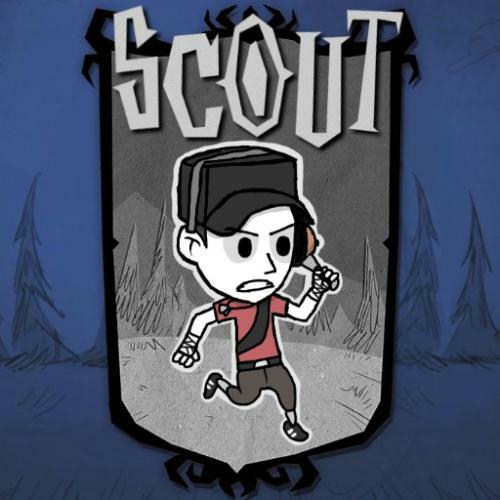 This mod adds the Scout from Team Fortress 2 into Don't Starve Together. Thanks "Weeaboo Garbage" for finding spelling errors and providing ideas. -“feeds” off of their fear to regain 7 health. -costs 15 sanity, and has a 20 second cooldown. -cannot be removed from inventory, but remains in your inventory if you die and respawn. -cannot be used on smaller innocent creatures like rabbits and birds because kajis such a softie. -Gets hungry 15% faster because of his infrequent use of his core. Or something like that. Don’t quote me on that one. -quickly loses sanity near ponds and oceans. -cannot use, or equip, fishing poles. -And a few other fun easter eggs. The character Kaji belongs to Venoshade, and this mod was made with their permission. 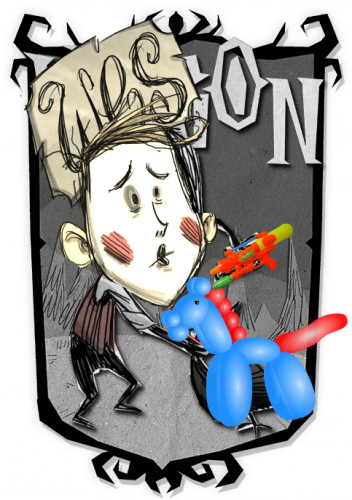 Wilton, one of the hidden characters, is now playable, with his own special powers! Mirror 1: This version of the mod includes HUNGER, unlike the normal version. Mirror 2: WIP version for my own testing. Don't complain if this one doesn't work correctly. Has a whopping 35 (thirty-five) maximum health. Tip: Avoid combat unless heavily armored. Has a whopping 35 (thirty-five) maximum sanity. Tip: Be sure to keep your sanity from dropping too low. Does not starve, and cannot eat anything but flowers. Tip: Don't eat anything else, it's as easy as that. Respawns at a random skeleton on the map when he dies. Tip: You never know how many lives you may have, so be careful. Can dig up bones and occasionally skeletons from gravemounds. Tip: Be careful digging graves, your sanity will drop quickly. Tip: Be sure to catch it, or you'll likely kill yourself! Does not do well in the cold. Tip: Stay close to home. Spawns with an eyebone and his good friend Chester. Tip: Store your spoils in Chester! VERSION CHANGELOG1.6All bugs fixed! (That I am aware of. 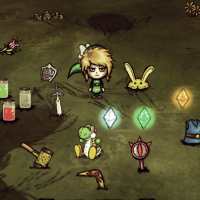 )Amulets/touchstones/effigies all work properly now, with any character!Wes no longer speaks because of the mod being active.There will no longer be duplicate eyebones and bone-a-rangs.1.5Wilton gets his boomerang and eyebone back when he respawns!Wilton can eat flowers to regain health, but they lower his sanity some.Wilton now has 35 health instead of 20. Same for sanity.Rain makes you go insane a little quicker than usual.1.4Wilton spawns with a special boomerang! It is currently bugged but usable.Wilton doesn't eat anymore. A spiffy respawn sound effect.Some compatibility issues fixed! For "Dem Bones", and theoretically other mods.A WIP character portrait.A special version of Wilton that actually eats and so forth can be found under 'mirrors'.1.3Dig up bones and skeletons from graves, and never worry about ghosts!Removed the hunger meter, since you don't go hungry. Relocated the insanity meter to where the hunger meter was.1.2Other characters no longer get Wilton's reanimation perk!Maximum health and sanity are now tuned at 20 each.Respawn from skeletons spread throughout the map!Winter is very dangerous for Wilton!Wilton now uses the proper strings!1.1Hunger no longer goes down.Wilton now has very little health and sanity.Wilton will no longer starve.Wilton will spawn with a friend. This mod fixed the beard of Wilson Snow Fallen, the pattern is black and removes the mood of the skin. 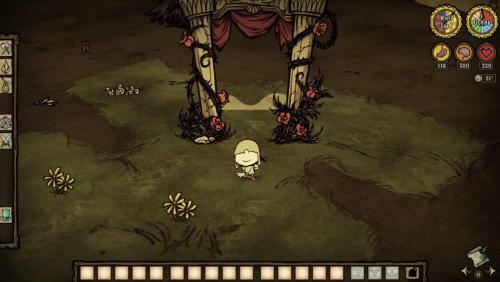 With the help of the forum and especially the user 6480, we managed to fix and leave it in the quality Klei. This mod itself, not from the Wilson skin to anyone, it only changes the beard. It only works in client mode. Meet Blizzy! She's a sweet-loving dragon who's not afraid of a little conflict! This mod was made using the Extended Sample Character, found here! 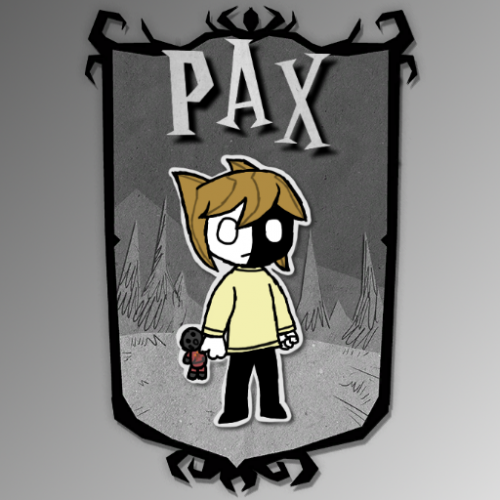 I made this mod originally to add myself (or rather, my fursona) into the game, since I didn't really connect with any of the available characters. I'm so glad that making this was as easy as it was! This was my first time modding, and I'm still running into a few problems, but I like what I've done! 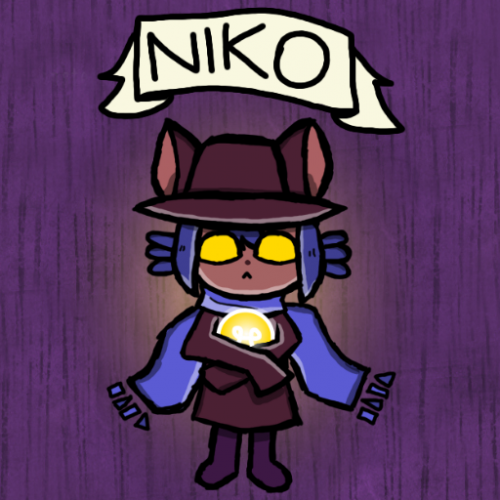 Cute and simple character with custom speech, sounds, and a ghost! Spooky! 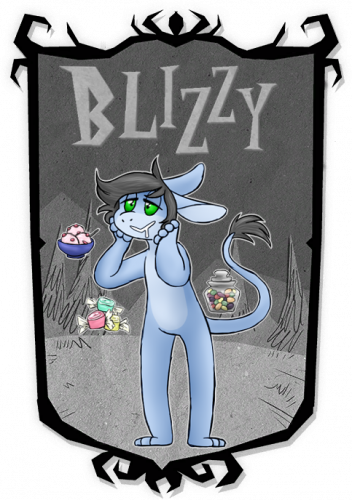 Blizzy's special ability is her love of food! She's a heavy gal, and enjoys sweets just a bit too much. She gains sanity from eating her favorite foods, each providing a different sanity bonus. Honey, and Royal Jelly each give an additional +1 Sanity when eaten Powdercakes and Small Jerky give +3 Taffy and Buttermuffins give +5 Honey Ham and Honey Nuggets provide +10 Normal Jerky and Pumpkin Cookies provide +15 Jellybeans and Ice Cream provide +25 All of these values are applied after the spoilage value, meaning spoiled ice cream is still worth 25 sanity! She is always working up an appetite, and thus her hunger decays 50% faster than normal! Since Blizzy is a dragon (a drake more specifically), she also fights like one. Although slow, she can take a punch and return it with force! She will take 10% less damage, while dealing 25% more damage Blizzy is 10% slower than other characters, due to her size and demeanor One more thing - Blizzy overheats a bit quicker than other characters during the summer, and takes 50% more fire damage. She also stays out a little longer in the cold, with 60 base insulation. This should be easy! 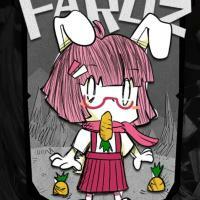 Download the .rar attached and extract the folder containing all of Blizzy into your mods folder! Hopefully in the future I can figure out just how to mess around with getting Blizzy to announce certain things when she enjoys one of her favorite foods! Any help and feedback are greatly appreciated! Thank you so much for viewing! Blizzy loves you! Please let me know about any bugs, or if anything looks weird! "Seras was a member of the D11 elite police response unit, until she was mortally wounded by Alucard in his destruction of a vampire masquerading as a priest. On the verge of death, she chose to allow Alucard to turn her into a vampire. Serving beneath Alucard, she now works for the Hellsing Organization and deals with the consequences of her decision." 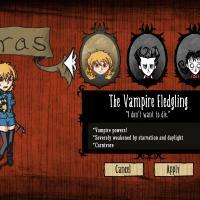 I've always liked Seras character from the Hellsing Anime, and in a game like Don't Starve where all characters seem to be going off the edge in one way or another, Seras as a reluctant human-turned-blood-sucking-monster seemed oddly fitting. I will focus on making Seras fun to play more than "balanced", with this meaning that playing Seras should be a different experience from playing other characters in don't starve. Playing her meant to be challenging in its own way. *highest at night when full, lowest at day while starved. Power changes day/night & full/starved. Regenerate hp at night (when not starved). Can only eat meat-type items. Partially meaty food such as meatballs have reduced effect. Tweaking, polishing and extra testing. The mod is in a stable state. 1. Seras is very weak during the day, especially when hungry. Avoid all confrontation with enemies when possible during the day. Even a few frogs can be dangerous to a starved Seras during the day. 2. Seras has night vision and she is extremely strong during the night as long as she is above 60 hunger. 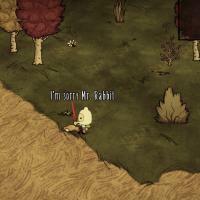 You can use this time to kill spiders, beefalo, werepigs and other dangerous opponents with relative ease. 3. Caves are considered constant night, and since Seras excels at nightly adventures you should not hesitate to explore the lands underground. 5. You may want to sleep through the full moon. 1. Seras cannot eat non-meat food, but this does not stop you from using this food as bait for tasty animals. It is a good idea to create a large number of traps with bait near rabbit holes to get a stable source of meat early on. 2. Seras does not take health damage from eating damaging food. This means that spiders and the like are a passable source of meat. When you can create monster jerky and have some sanity improving clothes you can use monsters as your primary source of food. 3. If Seras stomach is filled above 145 she will become somewhat more powerful but drain hunger quickly until she goes below 130. She drains hunger even faster during the day while in this state. An advantage is that she will slowly regenerate health during the evening and night while in this state. 4. Seras slowly regenerates health at night while above 60 hunger. Since caves are considered constant night you can use caves to get your health up when no other health restoration is available. 5. When cooking try to stick to cooking "meaty" recipes such as Meaty Stew, Honey Ham, Bacon & Eggs with the crock pot. Less meaty recipes have reduced effect on Seras. Fixed head not showing when wearing a hat. Fixed a minor texture error. Less meaty Crock pot recipes have been rebalanced to better suit Seras being a carnivore. You guys helped make this mod possible! 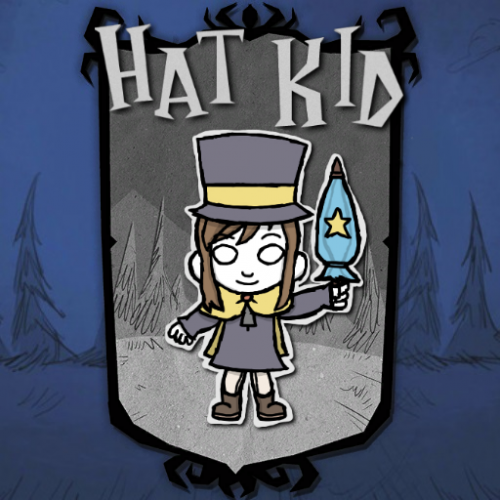 Here's my first attempt in creating a mod for Don't Starve Together! - Demon Blood Sword deals 72 damage per hit. - Able to destroy rocks, break objects and cut trees in 1 hit, resulting in a -3% durability loss per hit. - Attacking mobs with the sword increases durability +1% per hit. 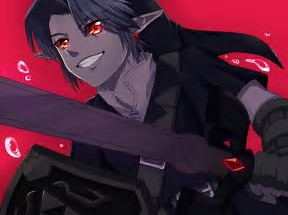 - Killing bosses with the sword rewards him with max sanity. - Each hit also reduces hunger by -1 per hit, and has an insanity aura of -20/min. - Upon reaching 0% durability the sword breaks, and can only be recovered through crafting in the 'magic' tab by combining; Dark Sword + 1 Beefalo Horn + 20 Monster Meat. - Green Backpack reduces damage taken by 70%, same as log suit. - Has more slots than the regular backpack. - Both of these items cannot be equipped by other characters. She can regenerate her 'sanity' by standing near fashinable boys. Also she lose sanity at the day time. *Hounds are neutral to her until provoked! *Pigmen and bunnymen are her natural enemies! 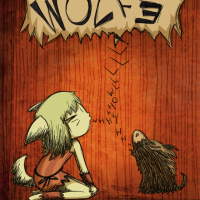 Wulfe is just about finished! I just need to figure out how to make it so hounds can be tamed with meat, like pigmen. ***IMPORTANT: There is a hounded.lua file in her folder you must move to a certain location, the README tells you what to do. If you don't she may get attacked by certain hounds. 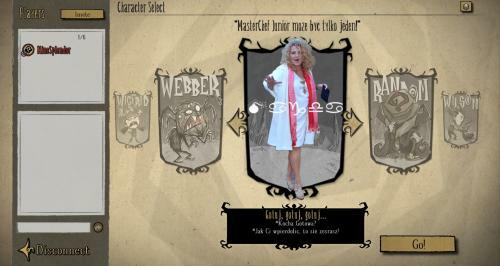 ***UPDATE: Those who had problems with her crashing on the character selection screen shouldn't have any issues with this version. Except I've heard that custom characters have been crashing when you examine walls lately..? Drok is a simple minded caveman. Drok loves a good meal, he eats everything but he prefers meat over anything. Drok is also quite afraid of monster and evil things. He thinks they are connected with evil spirits. When the time passes, Drok will grow a head full of hair. This is helpful to keep him warm in the winter, but Drok can't stay in the blazing sun in the summer with a full head of hair so he prefers to shave it in the hot summer months. The longer Drok's hair is, the stronger he feels. Since Drok is a caveman and he always had to struggle to survive he became strong, so his attacks are quite powerful but then again, he feels stronger with longer hair. His survival skills allow him to create a useful weapon: the Throwing Spear. Drok likes to draw on rocks, we call them cave paintings. As you start your adventure with Drok, you will receive a Roundish Stone. Drok can use some berries, ashes and a normal stone to create some red dye. With this red dye and the roundish stone Drok will be able to paint a face on the stone, thus Wigstan is born. Wigstan has two stages, excluding the roundish stone. 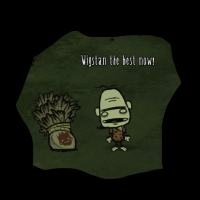 The further you upgrade Wigstan the more Drok will like Wigstan, increasing Drok's sanity when he is close. Drok has a large stomach. Drok grows hair that keeps him warm and makes him feel stronger, but overheat him faster in summers. Drok doesn't have a big brain (low sanity). Drok can create cave paintings. Drok can craft a throwing spear to use for hunting and fighting. Drok doesn't lose sanity inside caves when he is in dark places. Drok has completely customized speech, including Reign of Giants DLC. Where to find the items? Remember that some items need to be crafted at a science machine or an alchemy engine. -Has his iconic machete, it can also cut down trees. -Low sanity but isn't fazed too easily. Jason Voorhees and Friday the 13th were created by Victor Miller, and owned by New Line Cinema (I think). 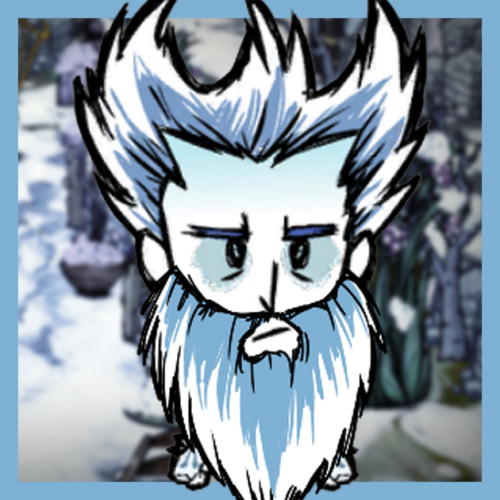 Don't Starve and related characters and concepts belong to Klei Entertainment. Play as the timepiece seeking alien child from A Hat in Time. Together, we went through countless hours of frustration to finally resolve this mod that in the beginning I started as something silly and that I thought would never see the light, but then again this wonderful person right here -> @Mobbstar <- offered his assistance with many, many coding THINGS. 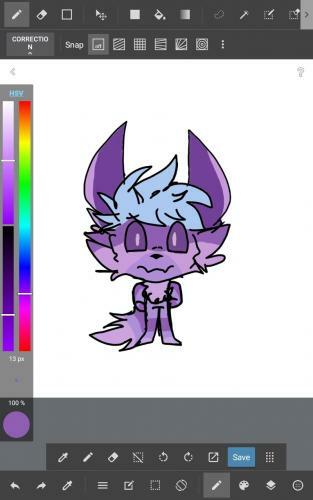 Oh by the way I helped as well with few codings and the art, but he also helped me compile the animation files and whatnot and ugh, I don't know where I would be without him. ANYWAY here you go, months of work (because basically procrastination, guys) have resulted in this character mod in which you can basically play as the character that is me, yes? Yes, that's basically it. Note: There might be a couple of bugs we have not seen so please do offer us with some feedback! So, less talking and more explaining what's this mod about, yes? Ysulyan (E-Zoo-Leahn) is a nature dragon from a world I have created a long time ago, he's also basically my persona in the internet, so I am basically doing something weird here by making him a character or something, I don't know. The thing is that we managed to CREATE this piece of work that might be-- okay I am rambling again-- ONWARD TO THE STATS. Ysulyan STRUGGLES with sanity in this sick little world he has been sucked into. Being so disconnected with what he loves and what he is used to seeing gives him a low pool of sanity which he must also regulate very meticulously. Keeping Sanity in check and trying to get enough wood will be your most important issue with this character, unless you know how to do your thing! 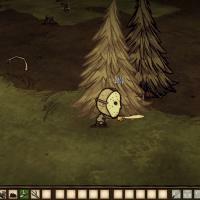 Chopping any kind of tree (but not mushtrees) drains his sanity by a ratio of .75 per single chop action, so you should either hire some pigs to do the job or find other means! To compensate all of this, he will recover sanity every time he plants any seed related to trees. He gets no sanity gain when picking flowers, and the Garland has no effects on him. Tree logs have a insanity aura. You should pick them up and put them away! But this does not mean he can't feel them there, like the husk of a once beautiful being that is now rotting in his backpack. The same happens with Planks and Charcoal! Standing close to burning trees will severely reduce his sanity, stay away from the yelling, dying poor things. Growth Spell: Kneel, gather your own fortitude and use it to help nature! He can use Health to perform magicks! By sacrificing his own health, he can bring back to life nature around him! This means that he can instantly make trees, plants, bushes, crops, anything grow! (Check the Magic Tab!). Performing this action drains health from him and he can't do this while having low sanity. 2. His world has little to no ships built, and whenever he sees one he does not trust them. He also hates sailing, and this is enhanced by the fact that he has no wings to fly away in case of danger. While on the seas, his sanity drains at a fast rate. So make sure you are carrying some sanity buffs while doing so and try to do your waterborne chores as fast as possible! 3. He's a dragon, so dragoons see him as some sort of distant cousin: they are neutral unless provoked. 4. 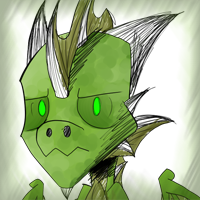 Being a nature dragon, this means he is resistant to overheating but weak to cold. 5. Praise the Sun! Energies are abundant during the day! +sanity gain during the day. He will hit harder and will be harder to hit during daytime and he will be weaker at dawn (mod compatibility thanks to @Mobbstar) and dusk, even more so at night. 6. He's allergic to gunpowder and thus he does not even know how to make it because he hates it. 7. Neither does he know how to make the armoured boat, because seriously he barely knows how a ship works. 8. Scales! He has natural armor, meaning even without any crafted gear, he can resist some damage. speed fast >> super fast! magic glasses can recovery sanity!! 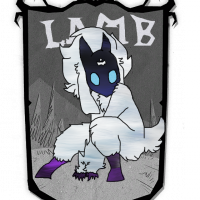 I upload for you a version of The Lamb for Don't Starve and RoG! 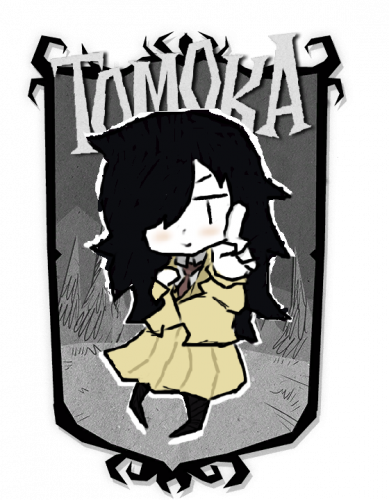 The protagonist of OneShot in Don't Starve. This is an admittably barebones port of this mod, but i'll be adding more features from the DST version in the future. 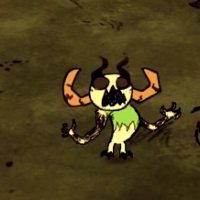 This is my character for DST. And he have a big problem. He canoot speak english! Зато он говорит по русски! Нечасто удается встретить русскоязычную модификацию или персонажа. Вот спасение! Он любит есть оленей и пить крепкие напитки. Живет в Лесу, который очень мистический и вообще неопределенный. Своего рода Максвелл Леса. Link, based visually on The Legend of Zelda: Wind Waker. Link comes equipped with a number of "Hero's" items. All of the Hero's items are unbreakable, and uncraftable. So don't lose 'em. Link is impervious to sanity loss, owing to his adventuring experience. He's seen things like you wouldn't believe. Link, as a seasoned adventurer, is stronger, faster, and tougher than average, with a strong stomach, but has a faster metabolism, and a smaller stomach, due to how consistently hard he pushes himself. Link is perhaps best at surviving through hunting and eating what he can kill. Keep an eye on that hunger gauge. Up-to-date Mediafire Link can always be found in the first post of the thread. Polska restauratorka. Prowadząca program Kuchenne rewolucje oraz jurorka polskiej edycji MasterChef (obydwa emitowane przez kanałTVN). Redaktor naczelna serwisu SmakiZycia.pl. Stała felietonistka tygodników „Wprost” i „Newsweek”. Autorka wielu książek m.in. „Smaczna Polska”, czy też „Autobiografia Apetyczna” (we współpracy z Magdaleną Żakowską). Jest też właścicielką i współwłaścicielką kilkunastu restauracji. 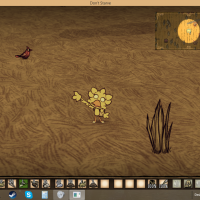 This mod introduces Wark the Chocobo to Don't Starve Together! She is a chocobo from the Final Fantasy Fables series of games, the type of chocobo that is commonly refered to as the "chibi" chocobo! She comes with her own speech file, diet, art assets, and a neat little mechanic for those who can make it through winter! Wark is a primary herbivore, meaning that she mainly eats vegetation, like vegetables and cut grass; however she is secondarily omnivorous, capable of eating fish, eggs, and many other foods. However, do to her crop lacking the enzymes capable of breaking down red meat, she cannot eat nor digest meats other than fish. Rejoice; however, because she has both a crop and a stomach, she can hold a lot of food in her, and because she is a savanna bird, her digestive system is more efficient! *Runs like a bird. Chocobos are quick on their feet, her light frame and powerful legs allow her to maintain a sprint at around 50% the speed of an average human. However, this speed likely comes from a constant fear of being eaten; so unfortunately this begets a lower sanity. *Moults... like a bird. You'd think all those feathers would make her a little warmer in winter, but being an arid plains creature she prefers warmer and more temperate climates, so her plumage is thin to allow better temperature control. So in reality, her winter coat isn't that useful at all, but it still sheds it at the start of summer. Maybe that would be useful? Right now the mod is playable and very much balanced how I want her to be, so I am releasing it early because I will be gone for a few days and unable to do some of the final visual and gameplay tweaks before version 1.0. She is DST only because I started making her for DST long before it occurred to me that making a character backwards compatible would be a pain in the tail-feathers. I'd then have to do a lot of balancing and mechanicing for DS and ROG, so for now she will be DST only until I get better at this. Thanks to @Dleowolf for the Character Template and helping solve Wark's tail. Thanks to @Mobbstar for putting up with my constant questions. Thanks to @Kzisor for helping with Wark's diet. and big Thanks to @rezecib for literally doing all the hard parts for me. Enjoy! PM me with any comments, issues, and suggestions if you really want me to read them, sigh exasperatedly, then bug everyone else on how to do cede to your demands.